Betty Owens went to be with her Lord and Savior Friday February 8, 2019 at her residence. A funeral service will be 3:00pm Monday at George Brothers Funeral Service. Burial will follow at Pleasant Garden United Methodist Church Cemetery. The family will receive friends from 2:00-3:00pm Monday at the funeral home, and other times at 1337 Village Rd. Lot# 117 Whitsett, NC 27377. Betty was a loving wife, mother, and grandmother. She was of the Baptist faith, a homemaker, and baby sitter for her great nieces and nephews. 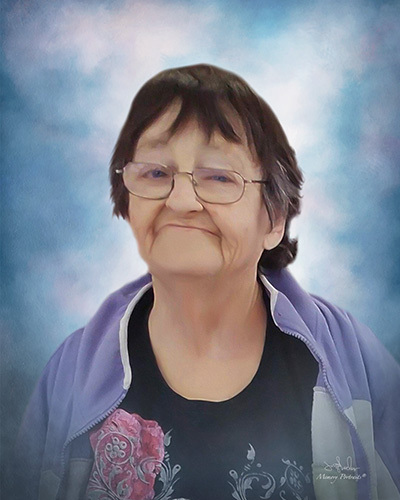 Betty is survived by her husband Larry “Bone” Owens; son John Henry Foy; daughter Tonya Foy (Everardo); granddaughter Arabella; brother Ronnie Bowers. Also surviving is a special sister-in-law Wanda Bowers, godchild Chance Barrios, and many nieces and nephews who treasured her.